Start by stripping the pvc cover off the twisted pairs cable. 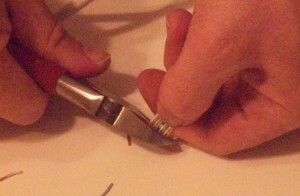 Remove about 3inches (7cm). Separate and untwist the wires. Arrange the wires in order using your favorite cabling standard. Use the same standard for both of your ends. 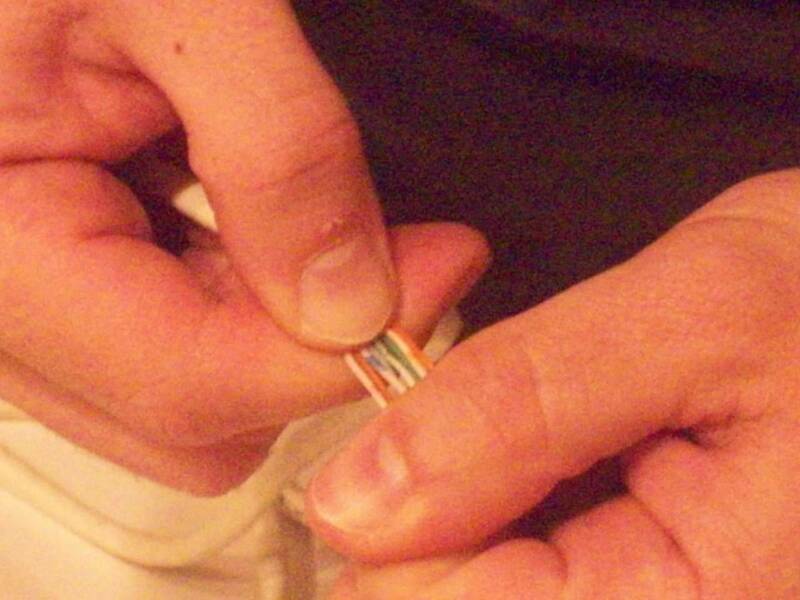 If you are redoing just one end make sure you are copying the other one, otherwise your patch cord will not work. I always use the same standard so I don’t get confused when I am redoing cables. 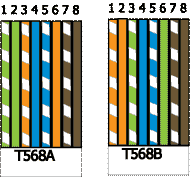 I use the T568B standard because there is a little trick to remember the wires order. See at th post Mnemonic for Network Cable pinout for a trick on how to remember the cable order. 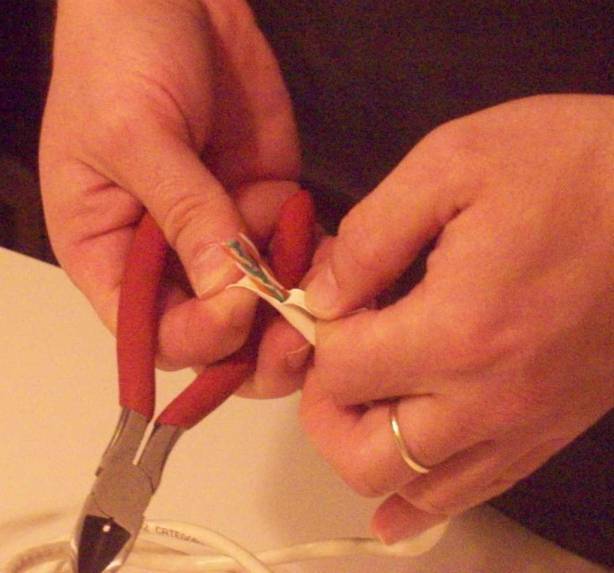 Straighten the wires, making sure you keep them in order. It is very easy to mix the wires after putting them in order. 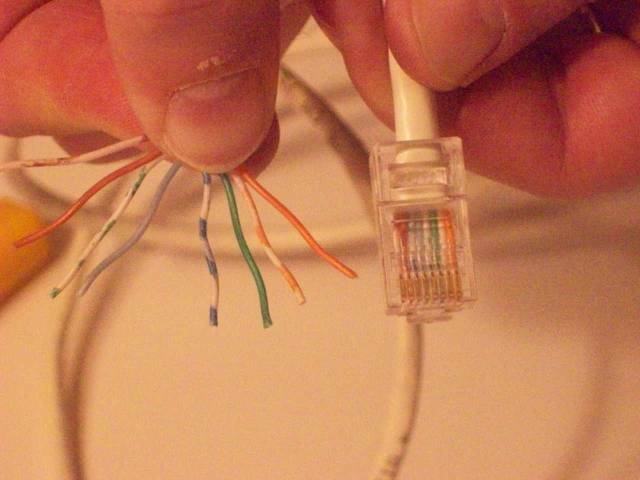 If doing this feels painfully difficult, try to find RJ45 male connectors with guides for wires. The guides keep the wires in place and help you insert them into the connector. It is a real help for a beginner. Cut the wires just a little longer than the RJ45 connector. Insert the wires into the connector ensuring that you keep them in the correct order. To keep the wires straight push up a little against the upper side of the connector while you slide them. 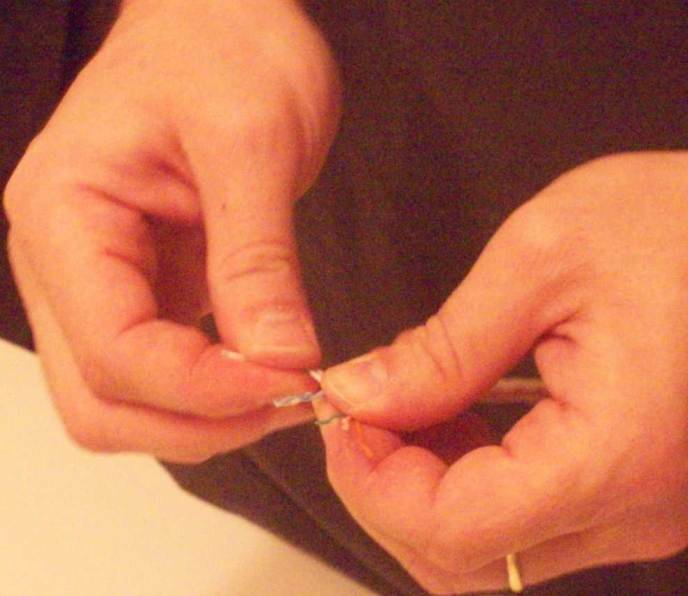 This procedure helps you keep the wires aligned while inserting them. When you reach the end of the connector the exterior jacket will be outside of the connector. Make sure you push a little more so that the jacket gets inside. at the time of the crimping the plastic indentation on the connector gets pressed on the exterior jacket, conferring the patch-cord more rigidity and resistance. If the jacket doesn’t get into the RJ45, the wires will be loose inside the connector. This will cause the wires to move and loosen up the point of insertion. Crimp the connector maintaining the wires and the cable jacket inside the connector. Inspect the cable, verifying that the wires are in the correct order. Proceed to the other end and untwist the wires. Maintain the same wires order. Redo the same operations as above. Compare the two ends. Make sure they are identical. If they are not your cable will most likely not work. For a 100Mb network only two pairs are needed, the active wires are at the pins 1,2,3 and6. For a 1Gb network, all of the four pairs are needed. 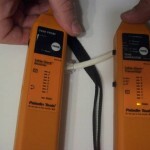 Depending on the nature of your job you might need to use a cable tester. For a small network a simple continuity tester will be sufficient. The tester injects a signal on one end and it tests the signal at the other end. If the cable is correctly crimped all of the LED’s will light up in order. The shield LED might not light up if your connectors are not a shielded. For bigger networks you will need a more complex tester that can measure attenuation, cable length, and can even give you an overall result of the point to point capability. 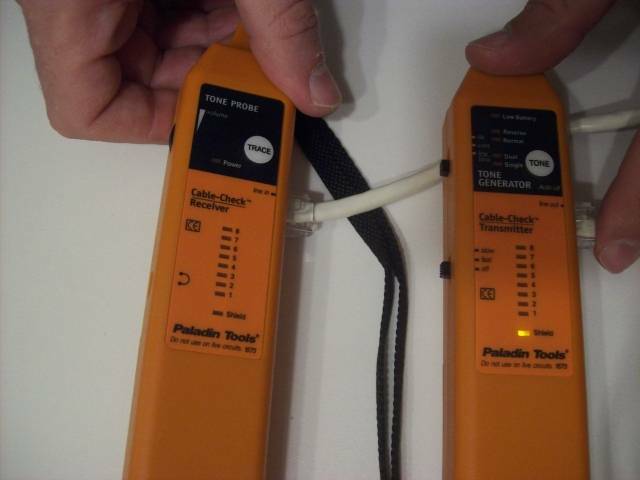 This type of testers can sum up the various aspects of a measurement and tell you if your segment qualifies for a CAT3 or CAT5 or CAT6 connection. Uneven force applied on the pins because of the angled compression. Uneven wearing of the teeth and general faster wearing of the teeth. The poor design of the crimper presses on the locking tabs and it reduces its flexibility to almost breaking them. 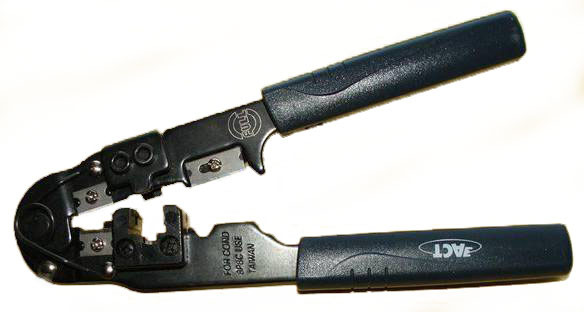 You need to apply two-three times more force when using a cheap crimper. You don’t have a ratchet system to guarantee a fully closed crimp and a release mechanism upon a complete crimp. 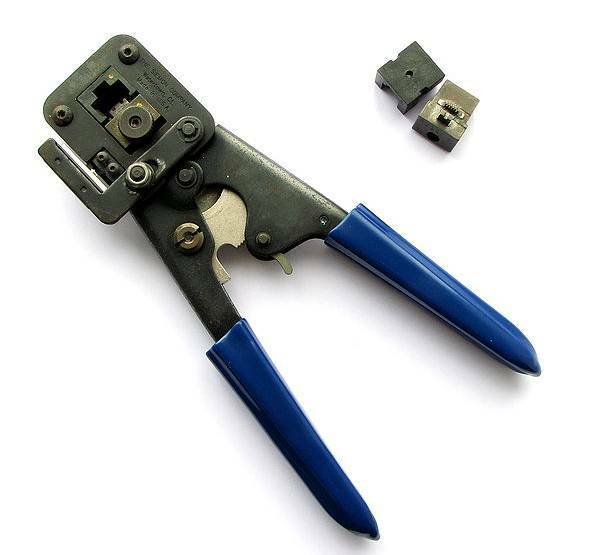 A good quality crimper will avoid all of the above and it will greatly improve your productivity; your RJ45 connectors will operate as expected for longer time; A good crimping tool costs 4 – 6 times more than the cheap ones. 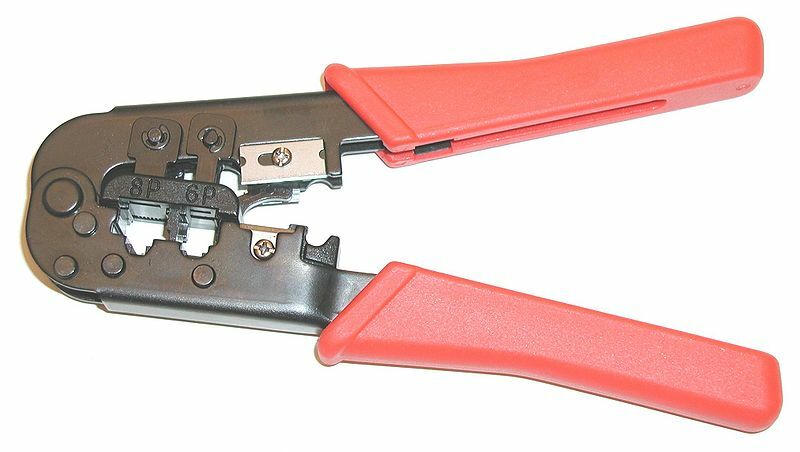 A good quality RJ45 crimper applies the force at the same time on all of the teeth, has a ratchet system and a release mechanism. 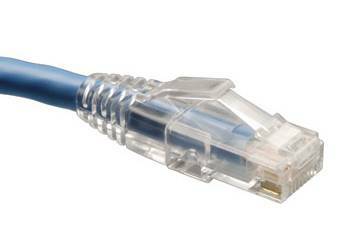 RJ45 is a type of registered jack. The registered jack specifies the physical male and female connectors as well as the pin assignments. 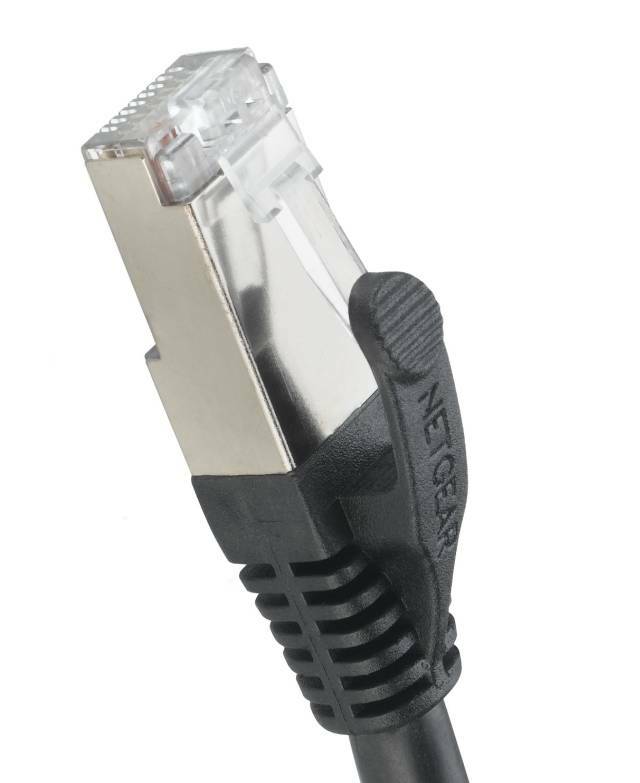 RJ45 features 8 pins and is the standard connector for Ethernet based networks. We can also find it on ISDN, and T1 connections. 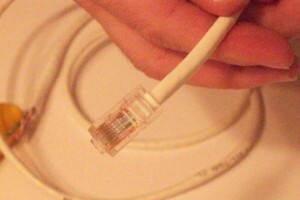 Ethernet is the standard media for the VOIP phones so we can find it used with modern digital phone systems. 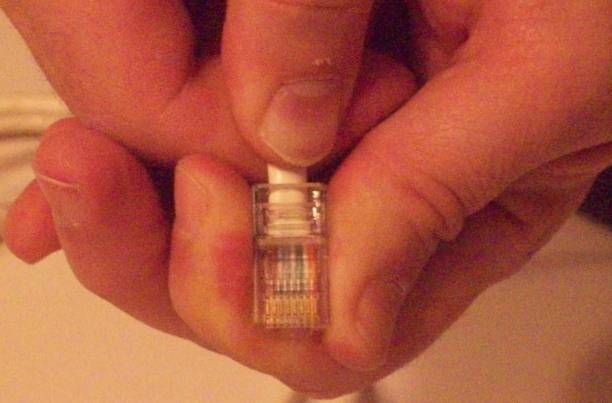 The RJ11 male connector, (standard telephone connector), fits perfectly into an RJ45 female connector being a little narrower, which is why many companies have deployed data networks only. 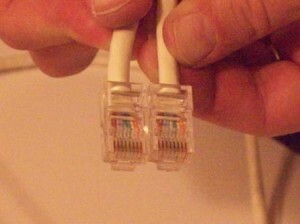 The middle pair only is used for the telephone connection. 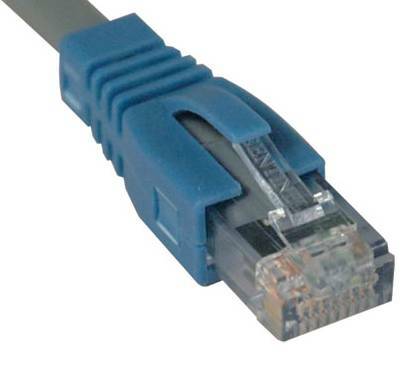 There are different RJ45 male connectors for various cables. 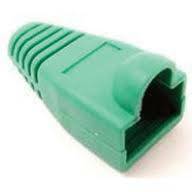 The male RJ45 are very cheap but they are prone to various problems. The locking tab is prone to breaking. 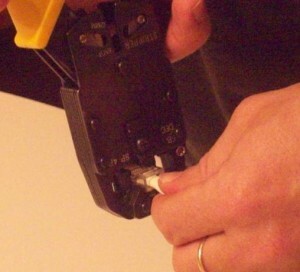 Here are some tricks to avoid this: buy the connectors with the locking tab curved down so it avoids the snagging. If you can’t find the cleverly designed connectors use boots to avoid snapping the tabs. 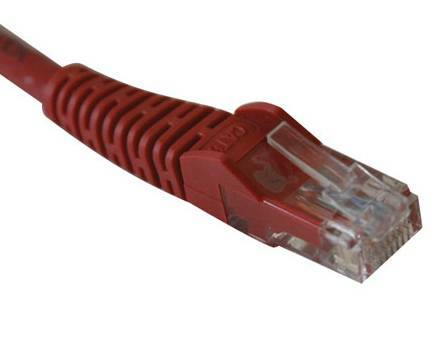 There are RJ45 specially designed for solid cable, for stranded cable, for STP cable. 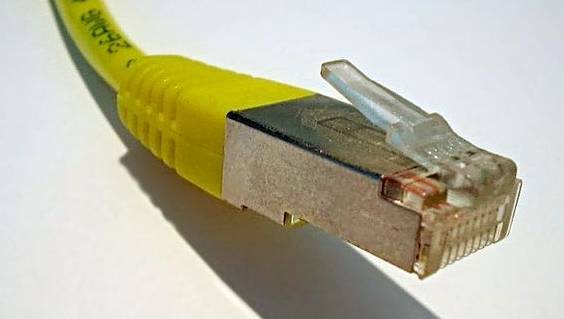 Use only the appropriate connector for the cable you install. Using an RJ45 for solid wire with stranded wires, or the other way around, will cause poor contacts, hence a bad connection. Use a good quality crimper that doesn’t press on the tab when you crimp the connector. 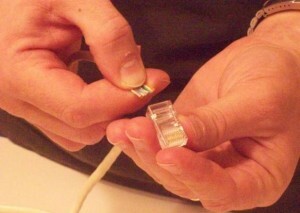 Crimping a male RJ45 is not easy. The operation requires dexterity attention and training. If you want to make your life easier, you can use wire guides that come with some packages. Practice a lot and you won’t need the guides.